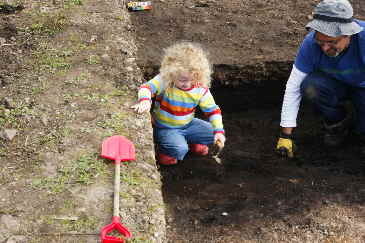 The Young Archaeologists’ Club is the only UK-wide club for 8 to 16-year olds with an interest in archaeology. Local branches all over the country encourage you to get your hands dirty! English Heritage helps people to understand, value, care for and enjoy England's historic environment. Membership allows free entry to over 400 historic attractions. Many of their properties host a variety of family entertainment throughout the year including falconry demonstrations, battle re-enactments, jousting tournaments and children’s theatre. The website includes a wealth of educational resources for all ages. The Council for British Archaeology advocates archaeology for all. Their website includes listings of excavations and other projects in need of enthusiastic people to help. They also publish ‘British Archaeology’ Magazine. Current Archaeology is a monthly magazine devoted to British archaeology, covering all periods and aimed at both the amateur and the professional. Archaeology on the BBC: Discusses various archaeological themes covered by BBC television series and programmes, as well as keeping you up to date with all the latest archaeological news stories. You should also take a look at the BBC’s current project in association with the British Museum - A History of the World in 100 Objects - and perhaps even add an object of your own to the site.